Excel Tip Tuesday: What IF? 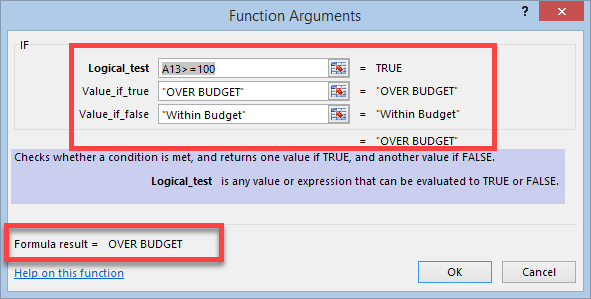 The IF formula is considered a Logical Function in Excel, but sometimes it can seem anything but logical. Years ago, I created a cheat sheet in Excel for IF formulas that has helped me, and so I want to share it here with you. The IF function is used to make calculations based on whether specified conditions are met. The logical test is always a comparison between two values. While the logical test section is limited to answering a true or false question, you have greater flexibility based on what you place in the last two arguments. The IF function can perform different calculations depending on whether the function returns a true value or not. Remember to use the fx button in the formula bar to show the Function Arguments dialog box for help with the formula and to view the hypothetical results. Leave us a comment and let readers know what Excel tips you use on a daily basis.